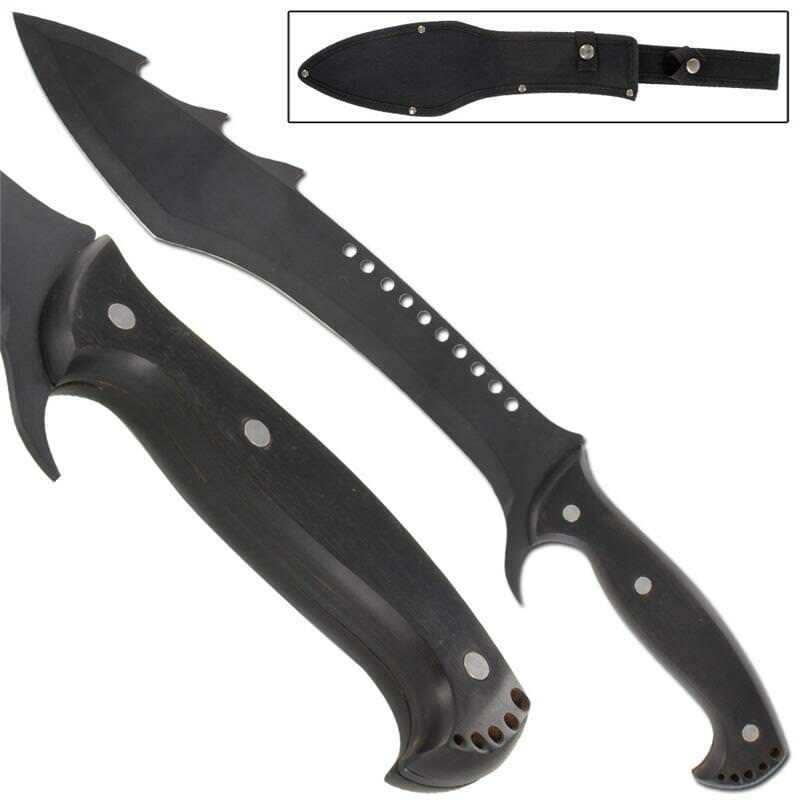 A big blade that delivers brute chopping and slashingpower, this heavy duty machete is ideal for stabbing, slicing, anddecapitating. 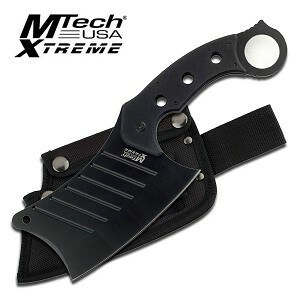 This sharp 440 stainless steel blade features a wicked shark finspine with weight reducing cutouts. Theblack finish helps to prevent rusting and prolong the life of your blade. The guard curves back towards the handle toprotect the wielders hand from being sliced. The contoured wooden handleplates create a firm yet comfortable grip with lanyard holes in the pommel. This piece also includes a nylonsheath with steel snaps and belt loop to keep with you on your side.